An advanced technology that provides optimum protection and prevents infection with excellent cleaning performance and much better productivity. 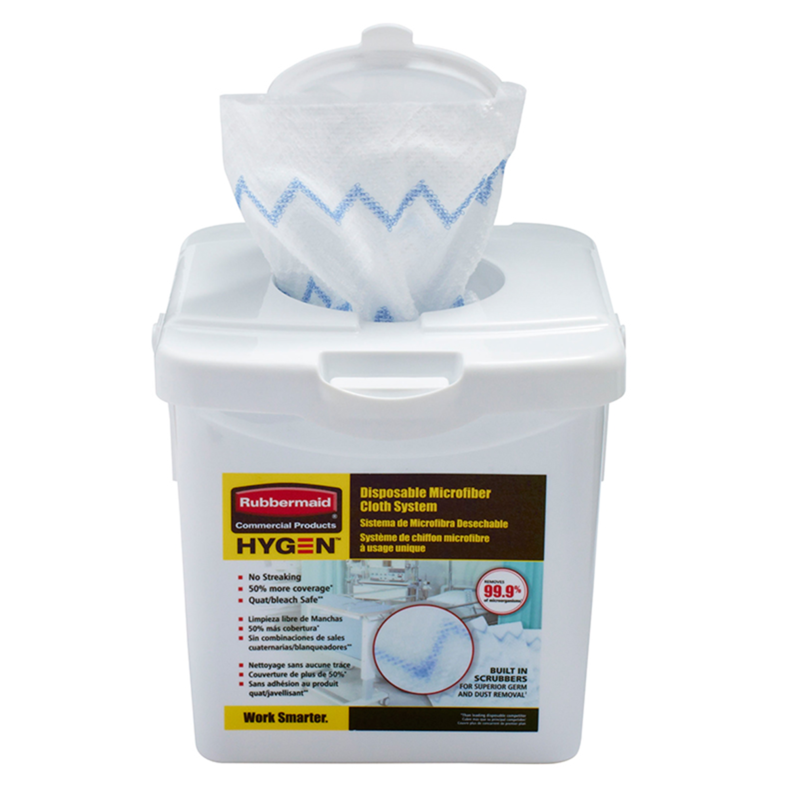 The Rubbermaid HYGEN™ Disposable Microfibre System has 99.9 microbe removal to avoid the chain of infection. It is proven to remove C different spores. Compared to traditional disposable products, this microfibre cloth has 50% more surface coverage. It leaves-streak free when cleaning mirrors, glass and stainless steel. It has built in sanitiser and bleach safe scrubbing strips to safely and effectively remove dirt without smearing. This kit includes disposable microfibre cloths and one charging tub. Heavy duty industrial strength and reusable. Highly absorbent and quick drying. Perforated sheets for easy tear off. 45m roll length, 90 wipes per roll. - Blue, Green, Yellow and Red - 300mm x 320mm - 10 cloths/pack, 4 packs/case This cloth can be used on virtually any surface and is great for removing lipstick from cups and glasses.